It doesn’t matter if your city is populated into the millions or encompasses only a few hundred people. They all have city governments that can range from a department of thousands to a temporary meeting place with a part time staff. Although the average citizen may just think of government as an entity that solely exists to tax and spend, there is more going on than that. At least from their own writings. To see for yourself, check out the below top 50 city government blogs. They are authored by everyone from well-known mayors to citizen watchdogs. Read them to learn how a city budget works, how townhall meetings are conducted, and even to see the inner workings of a police department. These mayors run larger cities and blog all about it. Stop here for the blog of Antonio R. Villaraigosa, the 41st Mayor of Los Angeles. The blog is used as a way for the mayor to check in on issues such as city clean up and city employment. There is even a special section where you can send in your questions to the mayor. The mayor of New York, Mike Bloomberg often makes news. Read headlines released by his own office with a visit here. You can also get videos and links to his other sites. R.T. Rybak was elected Mayor of Minneapolis in 2001 and was re-elected again in 2005 to serve another term. His blog keeps up to dates with his dealings and policies in his city. Top posts are on property tax increases and how neighborhoods and taxpayers can work together. Francis G. Slay was sworn in as the 45th Mayor of the City of St. Louis on April 17, 2001. He was also reelected in 2005 and again in 2009. In addition to the posts, you can also follow him on Twitter. He is the former Mayor of San Francisco. Check out the days he first held in office all the way up to his last on the blog. There are also other city government resources. Stop here for the official mayor’s blog for Seattle, Washington. Michael Patrick McGinn was elected the 52nd mayor of Seattle in November of 2009. One of the latest posts was on guaranteed tuition for 8th grade students. What does a mayor have to do to get arrested? In a recent scandal, Washington, D.C. Mayor Vincent Gray literally provided the answer to that question. You can check out more on his official newsfeed. Click here for the office of Miami Mayor Tomas P. Regalado. You can get the latest news, as well as video messages from the mayor himself. Other city offices are also featured. “Chicago style politics” come here on the mayor of the city’s official page. Richard M. Daley features a newsfeed, as well as a personal message. You can also check out his YouTube channel. Stop here for the blog of the mayor of the largest city in Alaska. Dan Sullivan is mayor of Anchorage and has a Twitter feed along with a blog. You can also get loads more information on the city government via the links. Although you may have never heard of these cities, you can learn more about what a mayor in a smaller town does in these blogs. This is the personal blog of John Landwehr, mayor of the City of Jefferson and his wife Peggy. Located in Missouri, he often updates readers on the state of the city but has been known to go off topic for items such as books and film. You can also get links to local government, such as the city office and several high schools. New York’s North County region has a voice in this blog. Mayor Jeff Graham discusses everything from the latest local happenings to items in global headlines. Humor and inspiration are often the topics of posts. Visit here for the blog of the Mayor of San Clemente, California. Also a standout for offering the views of a woman mayor, Lori Donchak. She also makes it a point to often answer her reader’s questions. Mayor Van Johnson leads up the city of Apalachicola, Florida. His goal by blogging is to keep his residents informed. A youth center was the topic of the latest post. Molly Ward may have used a generic blog title, but she stands out for her attempt to give readers a sense of the job of mayor and how it affects everyone from Hampton, Virginia. A recent post included thoughts on Wal-Mart. Brad Pettittt is the mayor of this Australian city. Get a real treat and see how city government is done overseas here. There are also links to many other local city offices. He is the mayor of Collingswood, which is located in New Jersey. Entries are on happenings, thoughts, and updates. There are also listings for what to see if you are in the city. Dave DeOme is the mayor of Lakeway, Texas. His blog includes news and information updates. Although he can go a while between entries, the blog is still worth a look. Click here for the official blog of Josh Cohen, Mayor of the City of Annapolis. Located in Maryland, he has lived there his whole life before being elected mayor in 2009. Check out his blog for updates, statements, and even a Twitter feed. City managers are often charged with the day to day tasks of running a city and can be read more about in the below blogs. This city manager serves the town of Lowell, Massachusetts. Bernard F. Lynch writes on everything from the budget to public service. One of his latest was thoughts on a local photography contest. Rick Cole is the city manager of this California town. His goal is to provide a civic forum for real time news and dialogue. A recent post was on the price of austerity. Charlie Meyer is the city manager for Tempe, Arizona. 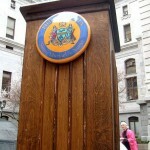 To differentiate from other city government blogs, he includes a brag board with the best in letters he has received. You can also get blog entries on the latest news. Although intended as more of an update for the entire city, this blog is authored by its city manager, Wally Bobkiewicz. Located in Illinois, the city of Evanston’s blog often involves the latest news. Fran David proves that city managing isn’t just for men. She is the Hayward, California city manager and has worked in the office since 2006. Categories include good government, hot topics, and reflections. Steve Pinkerton has been the city manager of Manteca since 2008. With two master’s degrees, he has served in many city government positions across California. One of the most recent posts was on unions. Theodore Staton authors this blog from the city of East Lansing, Michigan. Home of MSU, the university often takes center stage. Thoughts from a city manager are also shared. Randy Robertson is the city manager on this blog and in Mount Juliet, Tennessee. He hopes to use the blog as a way to keep his readers informed and share his passion for the city. He also has a Today in History section. Located in Marin County across the bay from San Francisco, this city is just north of the Golden Gate Bridge. George Rodericks is the city manager of Belvedere and uses the blog as a forum for information, feedback, and a behind the scenes synopsis of Belvedere issues. Some of the latest were on public hearings. How does it feel to be recently appointed as a city manager? Rick of Eden Prarie, Minnesota knows how and has just started a blog on it. You can even find the archived blog of the old city manager. City council, departments, commissions, and other offices round out these blogs. City Hall reporters Rudolph Bush and Steve Thompson provide political junkies with in-depth features, breaking news, and off-beat coverage of Dallas government. Readers are even encouraged to join the conversation. There are also interactive resources on the budget for the viewing. He works in the town of Cooper City, Florida and was elected in 2007. His goal is to make government run like a big business. See more with a read of his thoughts and plans on the blog. He was elected to the Newburyport City Council for a two-year term in January 2010. Ari is also a chair of the Neighborhoods and City Services Committee and a member of the Budget and Finance Committee. The blog is oriented towards providing transparent government in Massachusetts. This district is located in Los Angeles. Simply click on the Blog section to read. You can also get other city resources and community happenings on the homepage. This is the blog of the New York City Council. Highlights include many videos of council happenings. Low points include not being regularly updated. 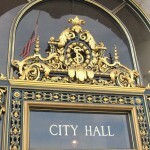 Get city hall news in Portland from Randy and his staff here. You can choose from fire, water, and other Portland entries. One of the latest posts was on the proposed budget. Stop here to get news on the city of Lakeland, Florida. The local government here strives to be accountable and accessible. There are also tools for living in, doing business, and other services you can learn more on from the city. Mike Morgan is a city council member in Trinidad, California. Doing a job he feels is important, the blog shares issues and even a chance for readers to share how they feel about them. However, with few regular entries, this blog could use more updating. He is the former Mayor Pro-Tem of Lockhart Texas. The blog often includes thoughts on the latest government issues. However, blog updates are sparse. These city government blogs fall into a category of their own. 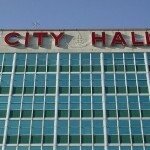 An insider’s look at the City Hall of Los Angeles is featured on this blog. Mr. City Watch includes politics, perspectives, and participation. Daily entries, thoughts, guest bloggers, and much more are all reasons to visit. Suzannah B. Troy Artist is the blogger here and watcher of all things Bloomberg. Believing that Mayor Bloomberg will be reelected for a third time, she uses her blog as a keeper of reasons for why not to vote for the incumbent. Recent posts are on editorials and commentaries that have been sent in on the mayor. Tom Casady is the police chief of Lincoln, Nebraska. He is also your blogger and has been in the department since 1974. Check out what life is like as the head of a police department with a read. Get the blog of an entire police department here. 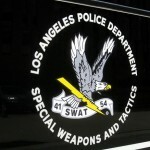 One of the most widely known names in policing, the Los Angeles Police Department makes many announcements via the blog. You can also learn more about its current police chief and crime tips. 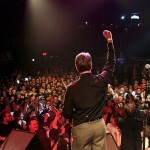 He and others write the blog as an ex-mayor and with a focus on the city of Los Angeles. He believes that inevitably city officials stray from the purpose they were elected for. The blog chronicles what local politicians are up to. He has worked in several positions for state and local governments. He is now part of a planning and zoning consulting firm and writes all about his hometown of Lake Worth, Florida. Check out his thoughts and city updates on the blog. He is the fire chief of Eden Prairie, Minnesota. Check out what life is like as the head of a city fire department here. In addition to fire safety, he also writes about traffic, news, and other related items. This blogger’s goal is to monitor and report on the happenings in the county government of Williamson, Texas. Categories include education, spending, and many other local affairs. A recent entry included thoughts on a yacht tax cut. Clyde Haberman takes on compelling events and people in the news. He pays particular interest to government, politics, and related issues in his blog for “The New York Times.” Amazing neighborhood finds are also a must read for anyone in the area. If you are part of city government, this is one blog you don’t want to end up on. It chronicles the many instances of corruption both in local and federal government. A recent entry was even on an allegedly corrupt city manager. Be sure to check back often and update the list of top 50 city government blogs. With bloggers constantly being reelected or falling into the latest scandal, they are assured to change with time.